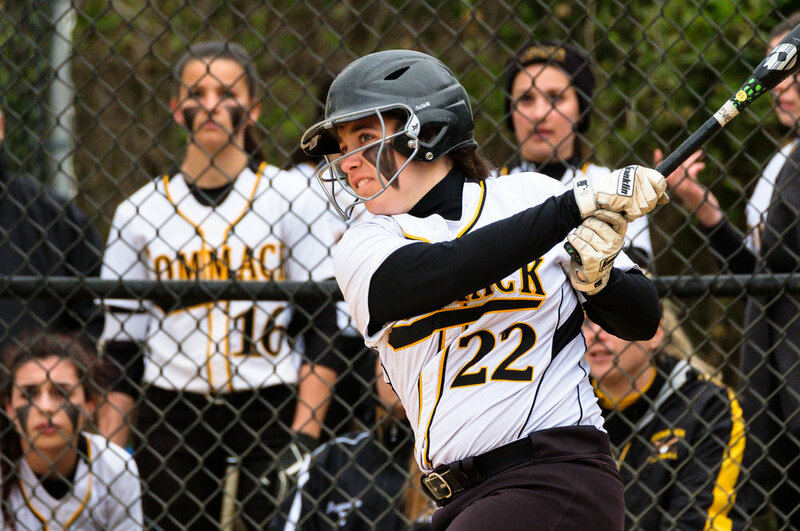 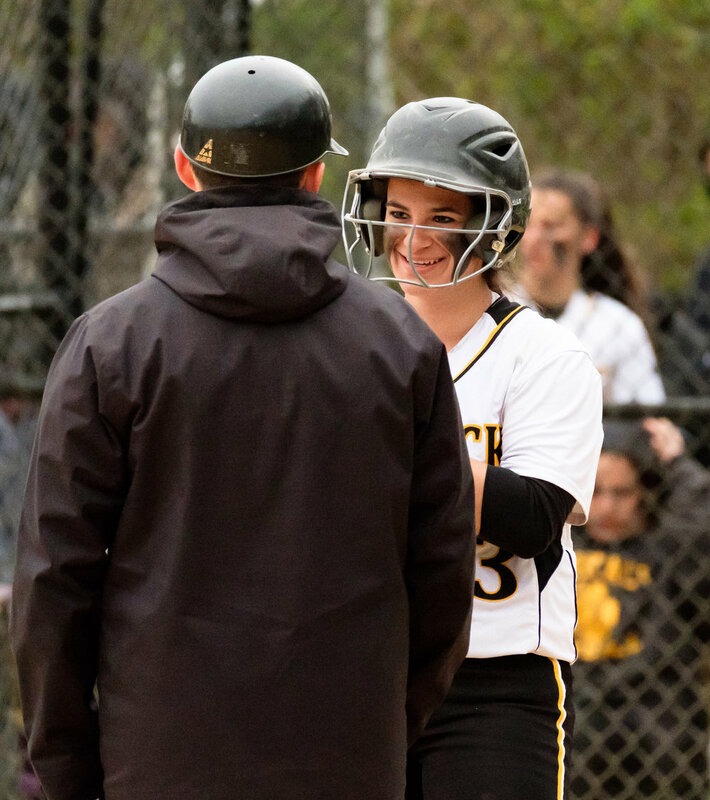 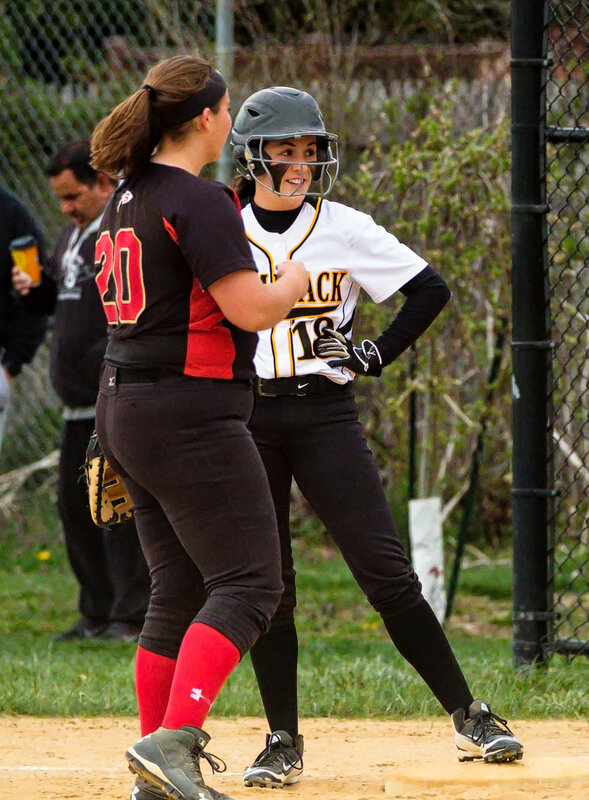 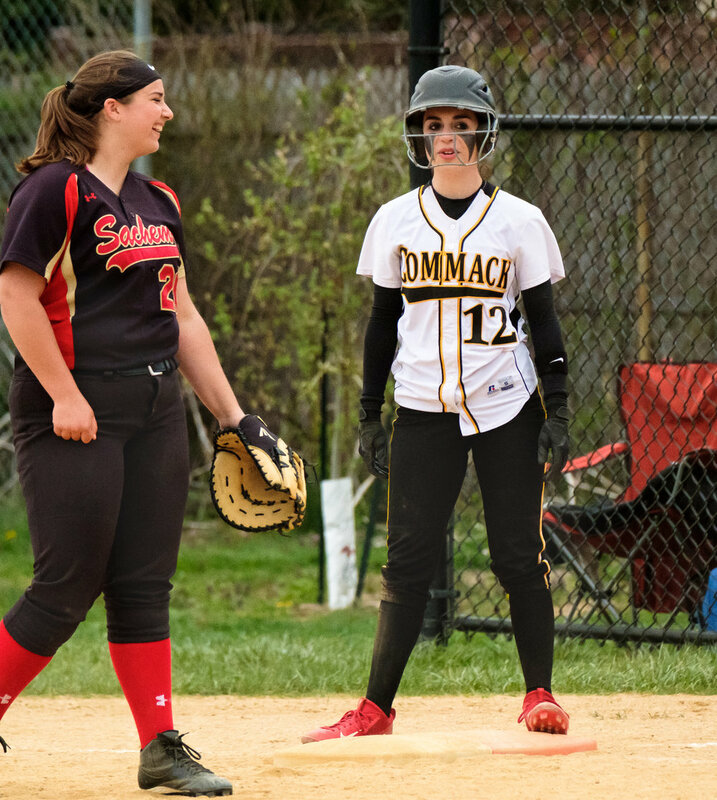 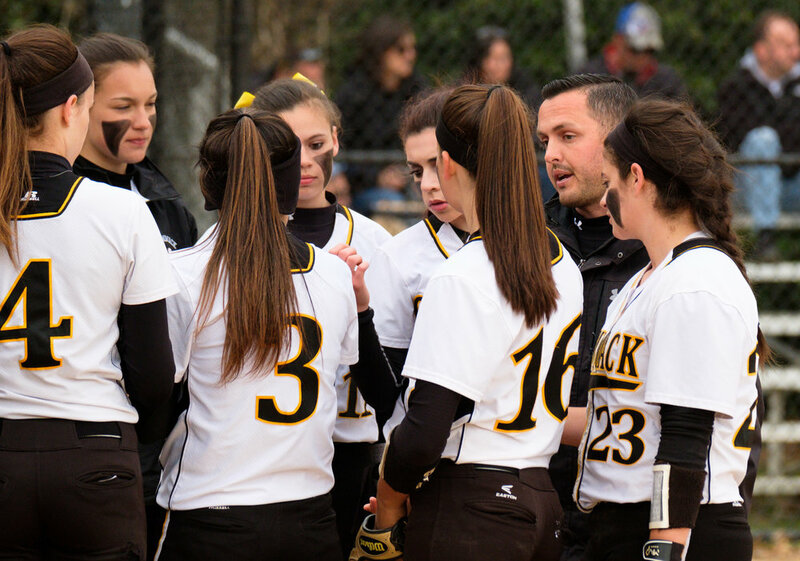 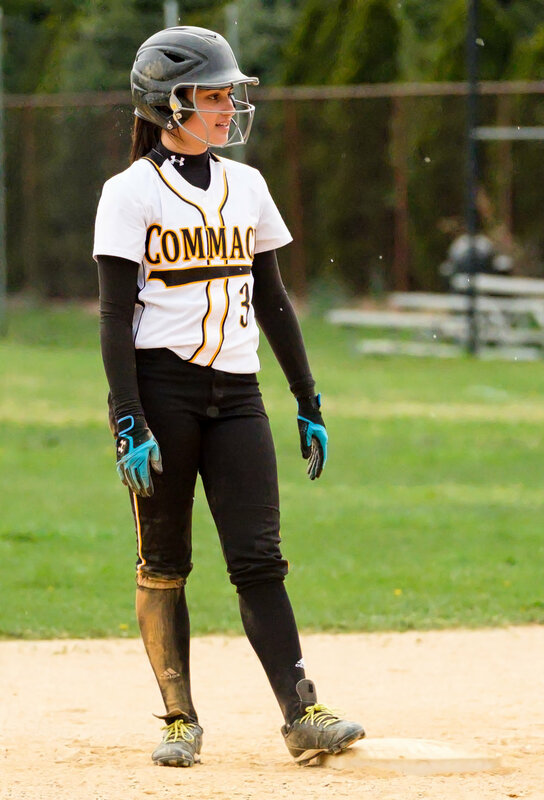 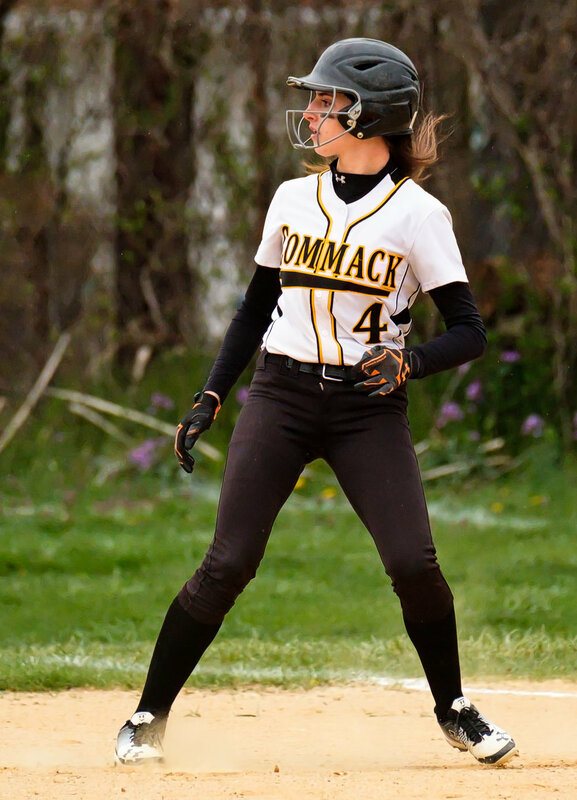 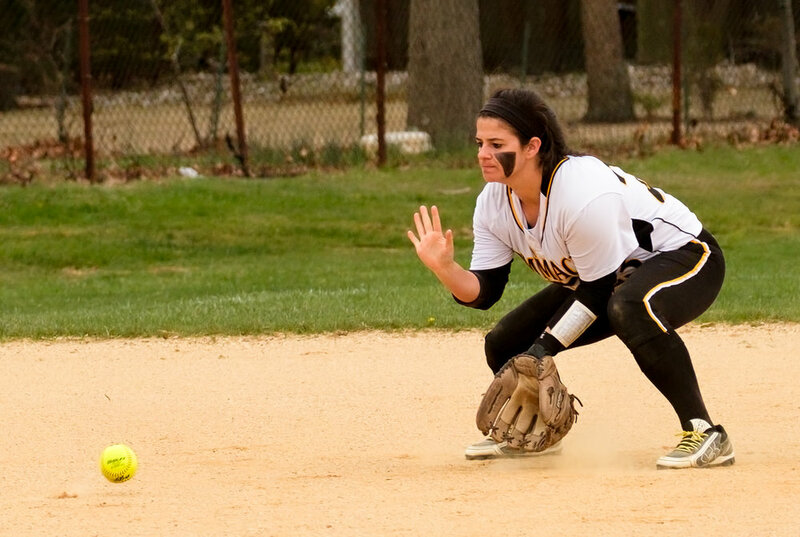 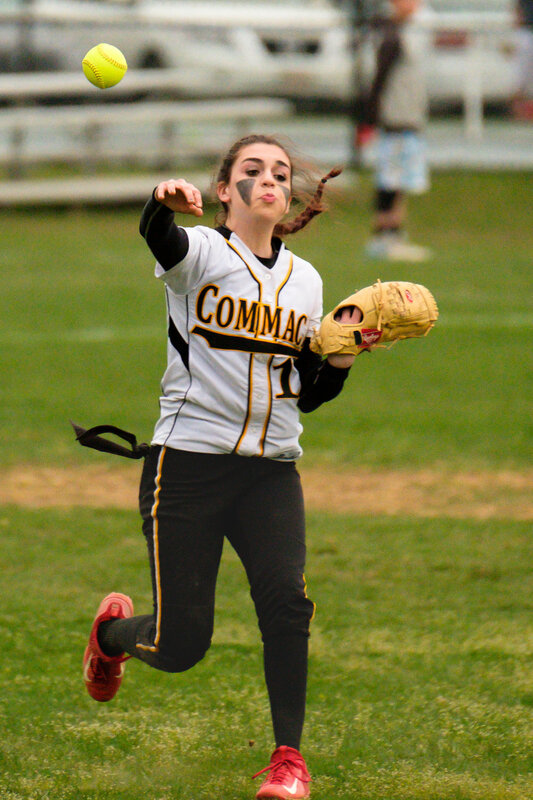 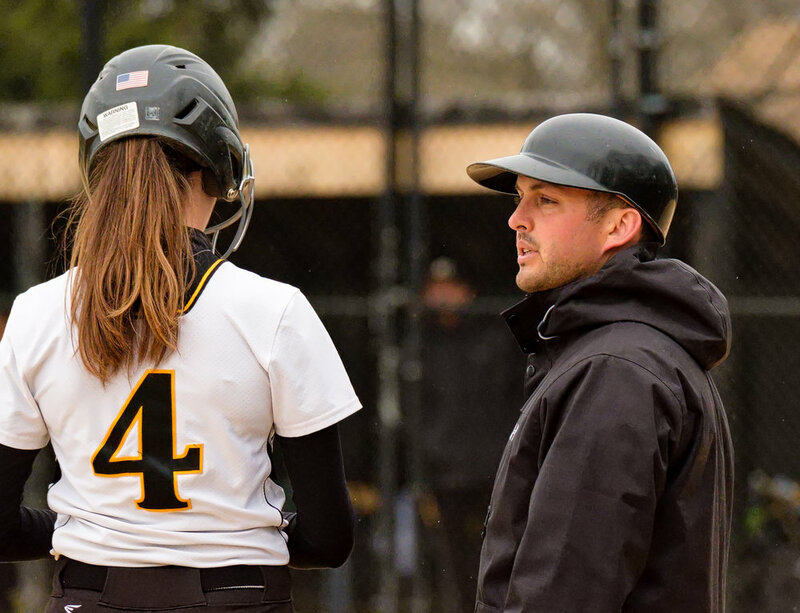 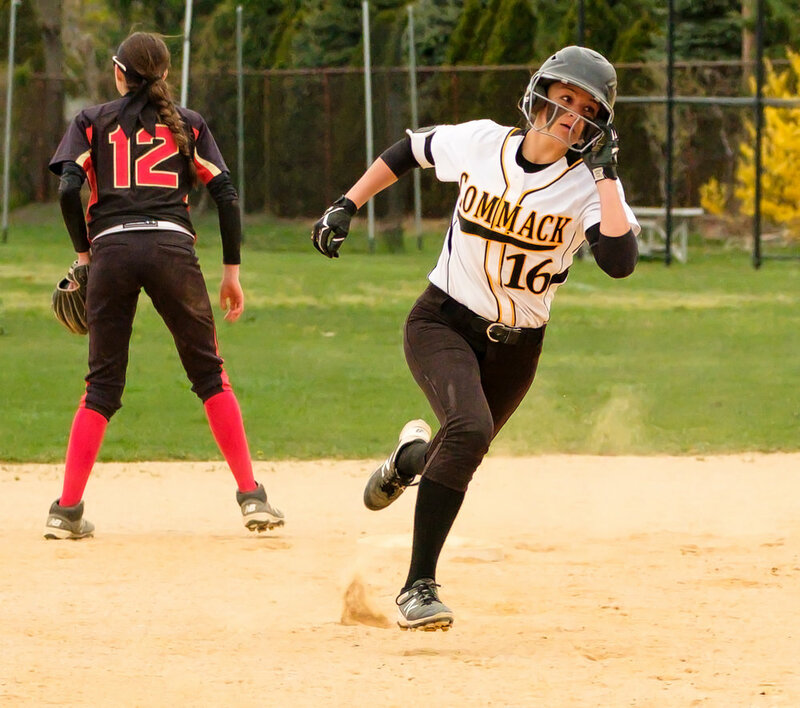 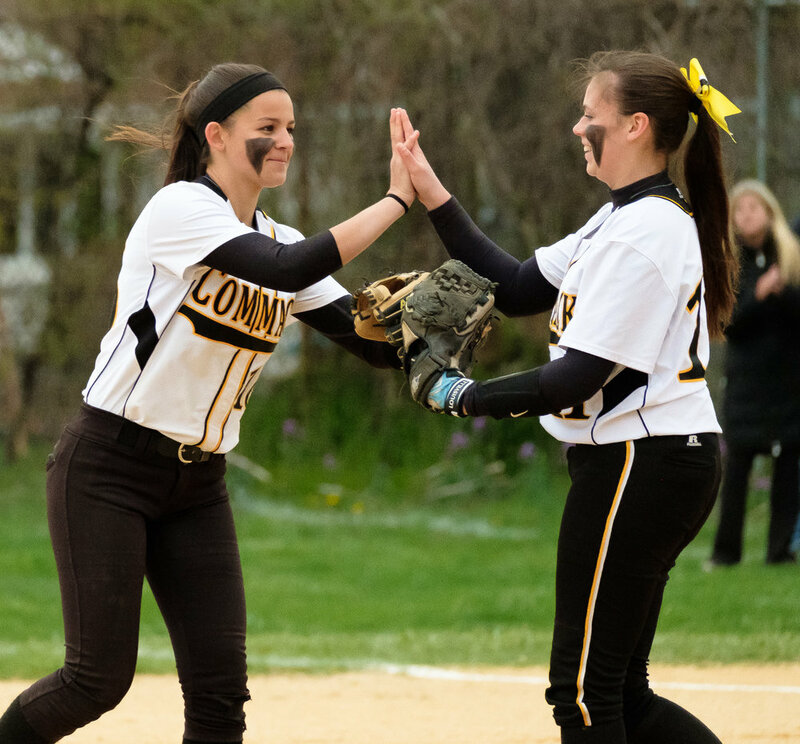 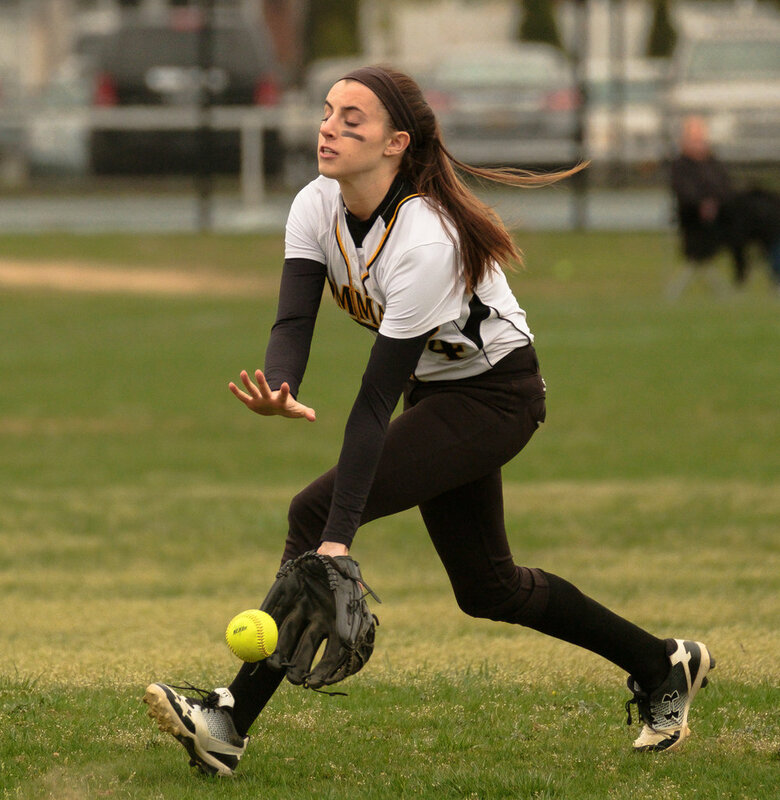 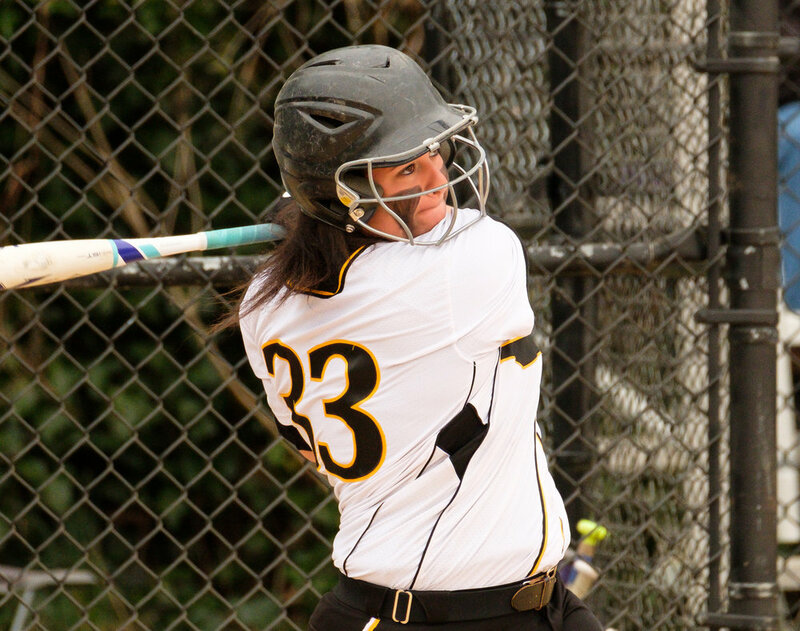 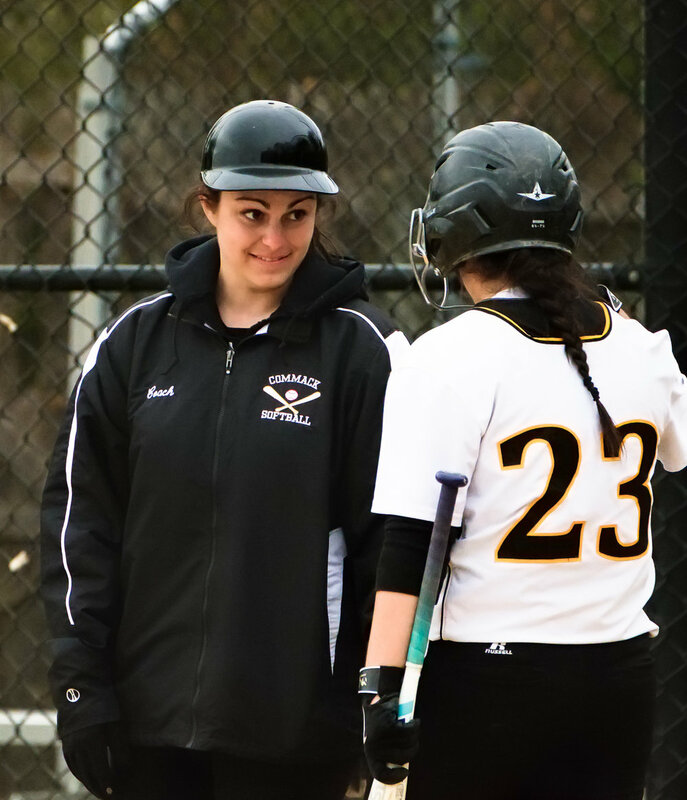 Congratulations to the Commack varsity softball team on their win over Sachem East in an exciting game. 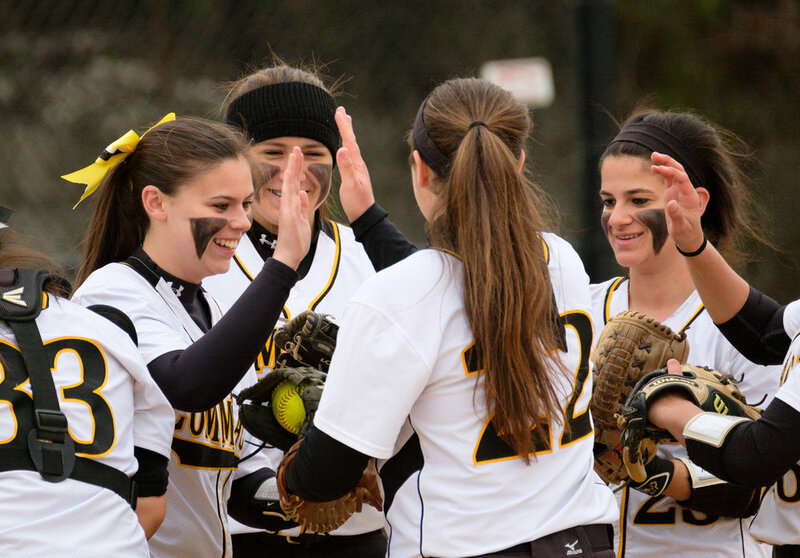 They have a good season going so far. 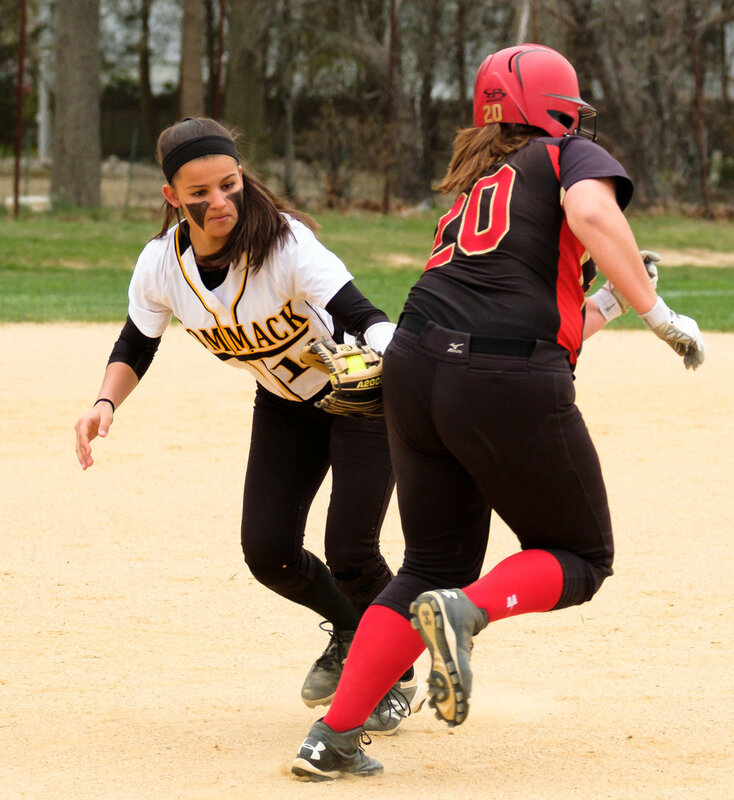 This was my second softball game this season. 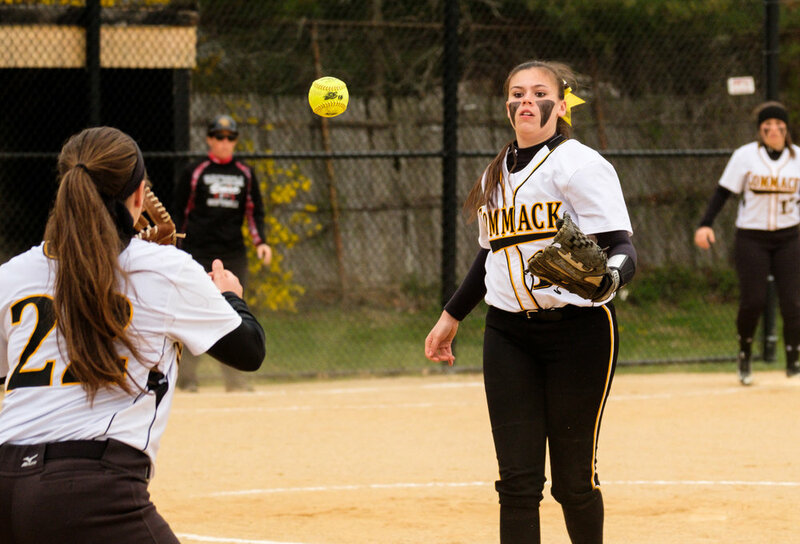 When I shoot the first game of any sport I'm concentrating on getting the "bubble gum card" shots. 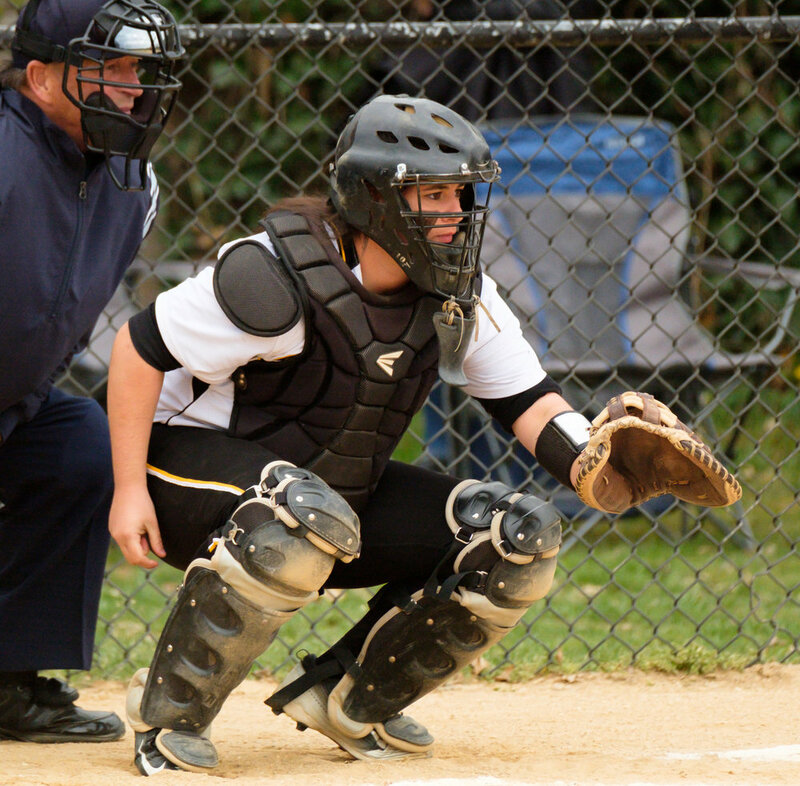 These are images of a player, usually alone in the frame, either batting or fielding. 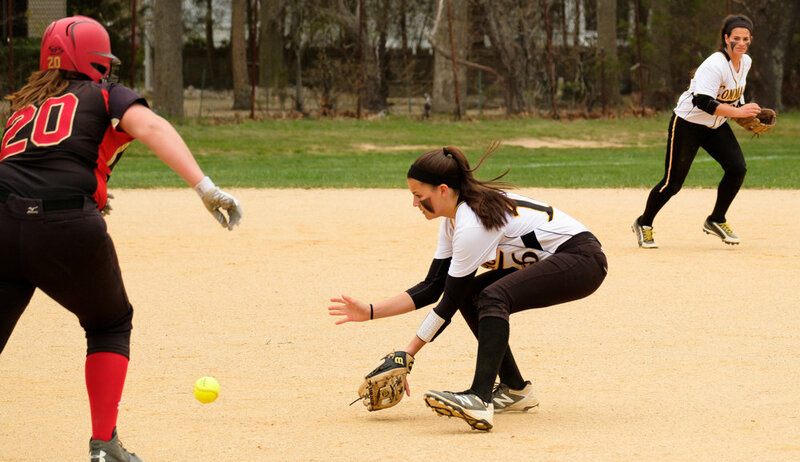 Not very dramatic but predictable and easy to get. 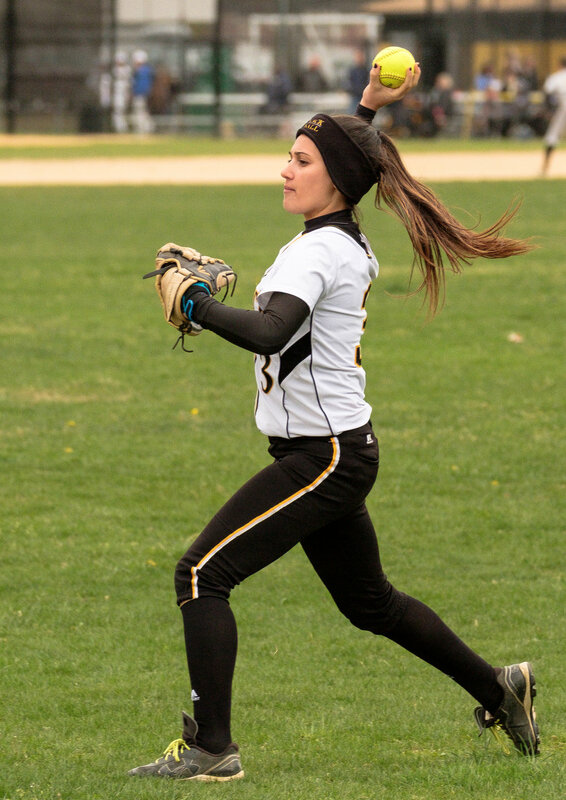 Once those shots are out of the way I look for different types of photos. 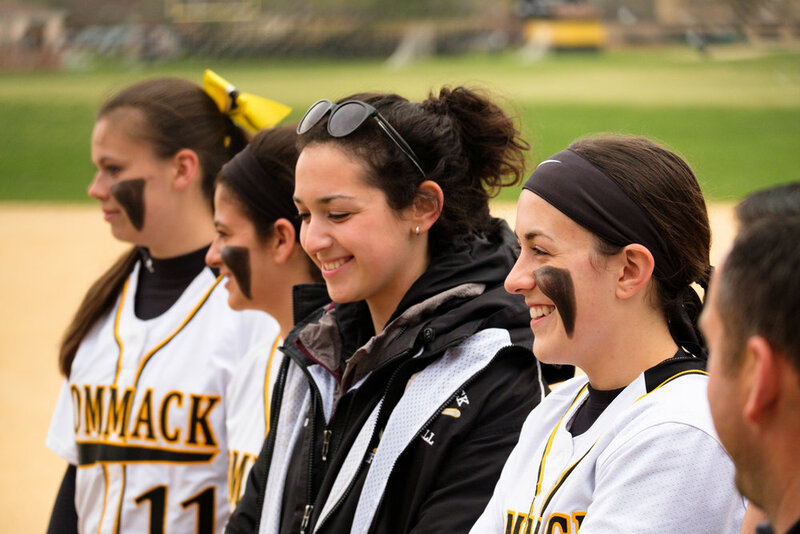 In addition to the big plays, I especially like to get the reactions of spectators and players watching a play unfold. 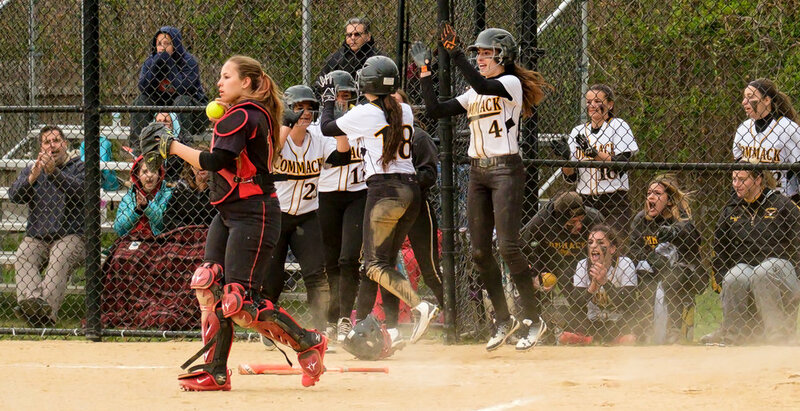 And, if you can get the play and the crowds reactions in the same shot it's usually a winner. 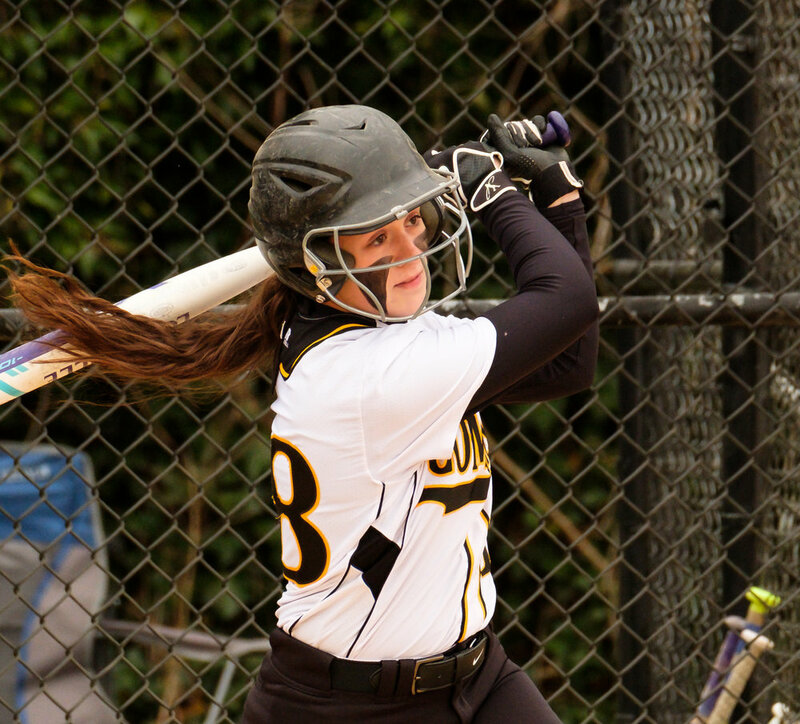 Sometimes I'll focus on the spectators instead of the players as I did in frame 609. 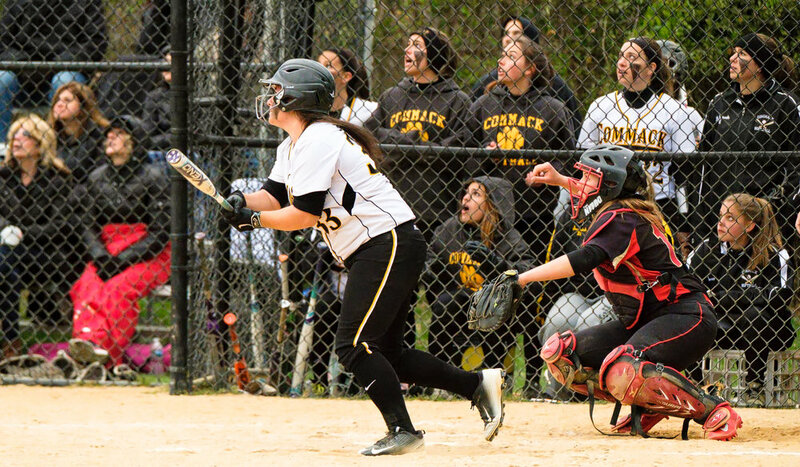 In Commack, if you're shooting down the third base line at the batter you have players in the background behind the fence. 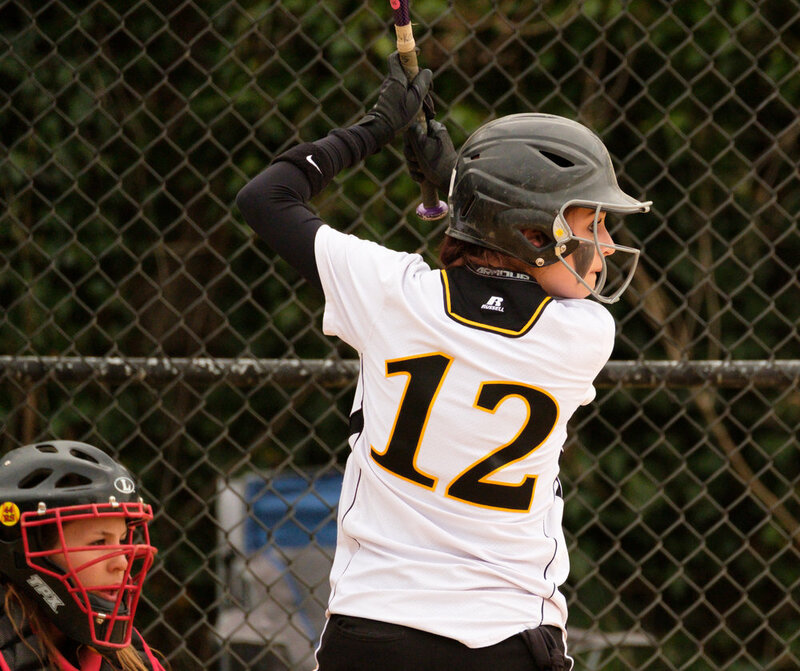 It can be a perfect background especially if the game is close and the batter gets a critical hit. 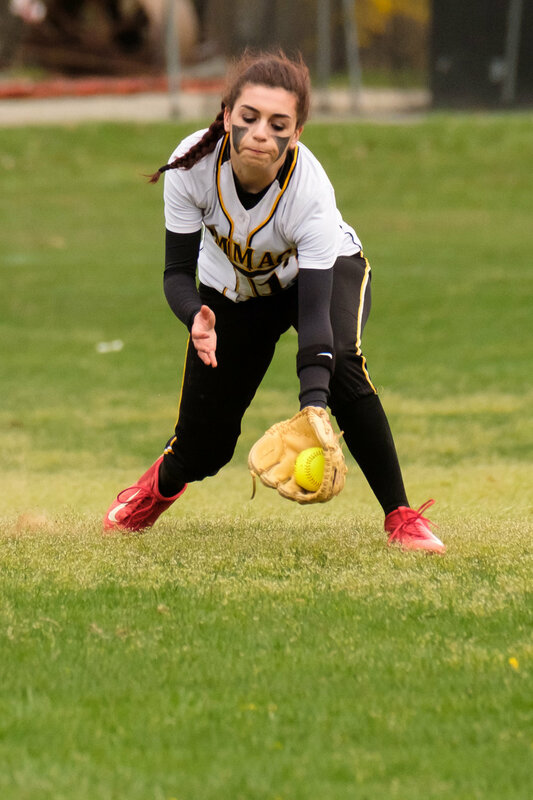 At times like this even the crowd is concentrating on the play and you usually don't have people in the background checking their cellphones. 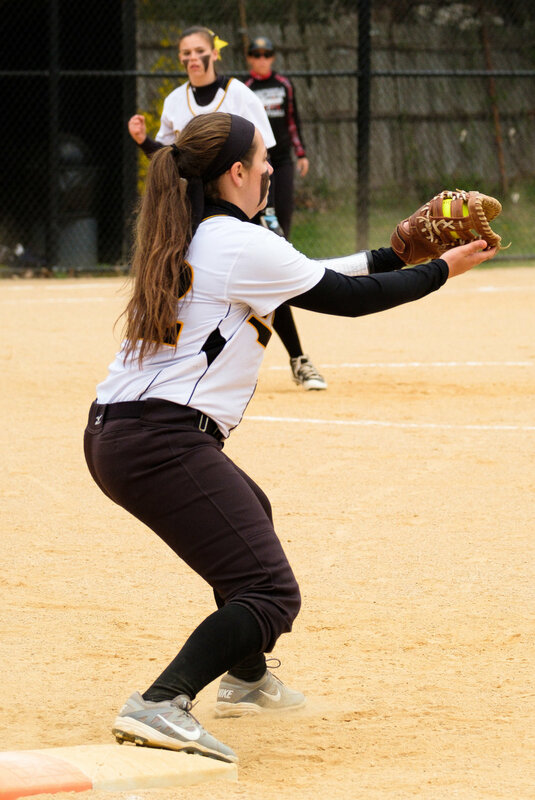 Something to keep an eye out for.